Any (or all) of these statements would be clear, reasonable positions for a social democratic party that claims to be in favour of international law and to represent the interests of ordinary people, rather than billionaires, to express. Instead, NDP leader Jagmeet Singh has issued vague, contradictory words about the Liberal government’s aggressive effort to topple Venezuela’s elected president. Over the past two years Justin Trudeau’s government has steadily ramped up their campaign to oust Nicolas Maduro’s government. Ottawa has adopted illegal sanctions, supported opposition groups, built an anti-Venezuela regional coalition, pressured Caribbean countries to join their campaign and taken a complaint about the Venezuelan government to the International Criminal Court. Last week it recognized a little-known opposition politician — who has never garnered even 100,000 votes — as president of the country. 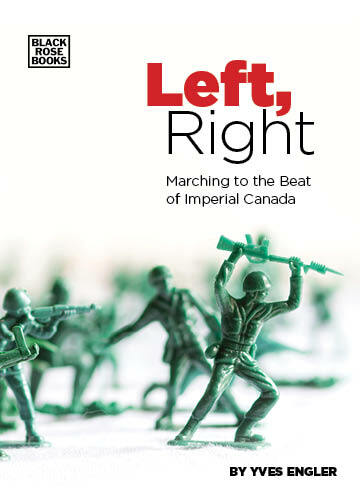 And before making this Trumpian, anti-democratic, over-the-top-interference-in-another-country’s-internal-affairs decision, Canadian diplomats spent months preparing the move with the opposition to ratchet up tensions in the South American country. It seems the “Trudeau Doctrine” has been proclaimed, similar in purpose to the USA’s “Munroe Doctrine” first issued in 1823. All of which should have offered a wonderful opportunity for a political party of the left to differentiate itself from the pro-big business, pro-American, pro-imperialist Liberals. But, despite Ottawa openly violating the UN and Organization of American States charters, the NDP leadership has barely mustered any criticism of Canadian policy. After Ottawa recognized National Assembly head Juan Guaido as president of Venezuela last week Jagmeet Singh tweeted a largely meaningless general message. Under pressure from activists — and with NDP MP Niki Ashton, as well as current candidates Svend Robinson and Jessa McLean, making much stronger interventions —the party subsequently published a slightly better statement. The Canadian Green and Communist parties’ statements are far better. So are those released by the Canadian Union of Public Employees, Canadian Labour Congress, Vancouver and District Labour Council, Common Frontiers, Rights Action, Kingston Peace Council, Hugo Chavez People’s Defence Front, Canadian Network on Cuba, Canadian Voice of Women for Peace and the NDP Courage Coalition. On Venezuela the party leadership would probably prefer the issue simply disappear from public discussion. But, that’s unlikely. The Liberal government has made Venezuela, reports the Globe and Mail, “one of the government’s top foreign policy priorities.” In a town hall speech on Thursday that Global News headlined “Trudeau says clause in Venezuela constitution shows Guaido is interim president”, the PM boasted that “I’ve been making calls to a significant number of global leaders” (including the heads of France, Spain, Ireland, Colombia, Italy and the EU) to convince them to join their campaign against Venezuela. For his part, Donald Trump, reports the Wall Street Journal, has “long viewed Venezuela as one of his top three foreign-policy priorities, including Iran and North Korea.” The clique of extremists driving US policy have set up a situation that may require an invasion to succeed. On Monday the “Lima Group” of governments opposed to Venezuela’s elected government are meeting in Ottawa. A protest is planned there, as well as in at least two other Canadian cities. Before the “Lima Group” summit the NDP should release a statement challenging Canada’s coup planning and Niki Ashton, or another MP, should be allowed to speak at the rally. It’s not too late to do the right thing.